Too high? Too low? Just right! Your vehicle and your life have something in common: both are chock-full of pressure (we’re hoping the latter isn’t too high). At one point or another, all responsible vehicle owners wonder about right tire pressure. The short answer: your tires should be filled to optimum pressure levels. Where do I find the correct PSI level for my car? PSI measures the level of air present in your vehicle’s tires in pounds per square inch. When it comes to regulating your cars’ tire pressure, the first order of business is knowing the correct amount of pressure your tires should hold. This is one of those “it depends” situations, because the magic number really depends on the car, truck, or SUV. In order to be as confusing as possible, your vehicle lists PSI in two different places. The most logical place for this information would be on the tire itself, however, a tire’s sidewall lists the MAX allowable amount of pressure it should hold, meaning you shouldn’t even be getting close to that number. The other place the PSI is usually listed is inside the door jamb of you driver’s side door. This is the correct number to reference when filling your tires. If you do not see the PSI listing inside the driver’s side door pillar, refer to your vehicles’ owner’s manual for the correct location. Sometimes, the PSI level is found on the glove compartment or gas filler door. How much pressure is in my tires? Once you have identified the right pressure level for your vehicle, the next step is to determine how much air pressure is present in your current tires. Note pressure level variances from tire to tire; drastic changes in pressure level between two given tires is not uncommon. Some might be too high and yet others could be much too low, depending on factors such as elevation, air temperature, and length of time the tires have been on your car. It’s important to check each one separately (including the spare)! Certain models of cars will require you to manually check PSI with a tire-pressure gauge while other, newer models will have an integrated tire pressure monitor (TPM) to automatically notify you of the exact tire pressure levels in all 4 tires. Most cars will at the very least notify you when pressure levels drop below the recommended level in one or more of your tires. How often do I need to check my tire pressure level? More frequently than you think. Obi-Wan wasn’t lying when he said, “Your eyes can deceive you, don’t trust them.” He might have been talking about tire pressure. Unfortunately, what the eye perceives tends not to align with what the tire gauge measures. 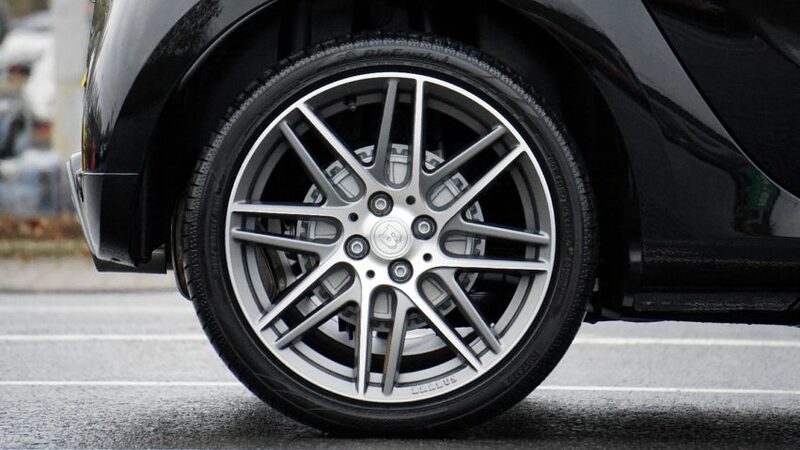 Regardless of whether or not your tire(s) looks low, the rule of thumb to follow when it comes to checking pressure is once a month, and possibly more if the weather is in a state of constant fluctuation. For every 10-degree drop in air temperature, the pressure in your tires fluctuates by 1-2 pounds per square inch. The best time to check the pressure is after the tires are cooled and your car has sat idle for a while. Some cars with more advanced technology may require you to drive for several yards while the system calculates pressure level. In that case, next time you are leaving for work, start your car and select the TPM feature and follow the prompts. Don’t forget to allow for extra time in case you need to top off the air. Why is tire pressure level so crucial? Incorrect tire pressure affects ride comfort, fuel economy, and length of tire life. As mentioned earlier, having too much pressure is certainly a safer bet than having too little (as long as you’re not going over the max allowable amount). The only downside to this is a slightly rougher ride since less rubber is in contact with the road. The consequences of low tire pressure are significantly more severe. Increased levels of traction in low tires leads to premature wearing and overheating – or worse – a complete blowout. At tires-easy, we prioritize your safety on the roads above all else. The next time you plan on hitting the road, stop for a minute to check your tire pressure levels and perform a quick fill-up, if necessary. If for some reason you find yourself with a flat, tires-easy offers a FREE Tire Road Hazard Warranty to cover you in case a tire fails as a result of puncture, bruise, or impact break. Visit tires-easy.com today and discover why finding your tires just got [a whole lot] easier.